PROPERTY OVERVIEW >> $196pw -- Price incl. 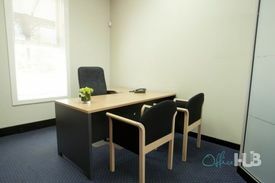 Flexible serviced office for rent in Subiaco WA with car parking and meeting rooms. Easily and quickly rent one or more affordable serviced offices at this business centre in Subiaco and discover a professional and comfortable environment with access to onsite secretarial support. Suites vary to accommodate 1 to 6 people and can be upsized or downsized at a moment’s notice. Have the weight of running your business lifted from your shoulders as front desk and admin staff answer calls in your company’s name, sign for parcels and provide flexible support with any task you may require. 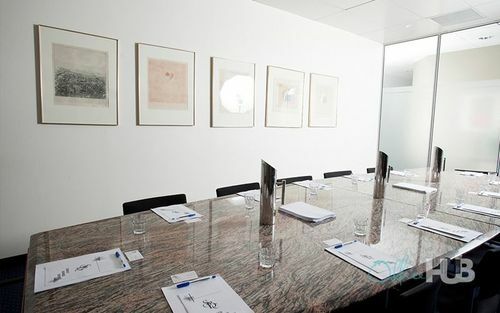 The centre is filled with executive-style high quality furniture and has kitchen facilities and smart meeting rooms for which you are granted one free hour of use per day (worth $175 per week). Operating as Subiaco’s prime serviced office for more than 30 years, the team behind this workspace know what they need to do to help local businesses achieve heightened success – they offer a wide range of skills and absolute dedication to making sure your business is looked after in every way. Enquire through Office Hub to receive a quote tailored to your unique needs from this serviced office in Subiaco. This business centre is located in the heart of leafy Subiaco, the thriving suburb where you’ll find a wonderful balance of business and pleasure. One of Perth’s most popular urban villages and only 3km from the CBD, Subi is loved for its clothing boutiques, farmer’s markets and bustling bistros. This serviced office is located in Subiaco Village, a boutique commercial park located just off the vibrant Hay Street and home to a number of small businesses, services and great cafes. This prime Perth fringe business location offers fantastic visibility and secure onsite car parking for tenants. 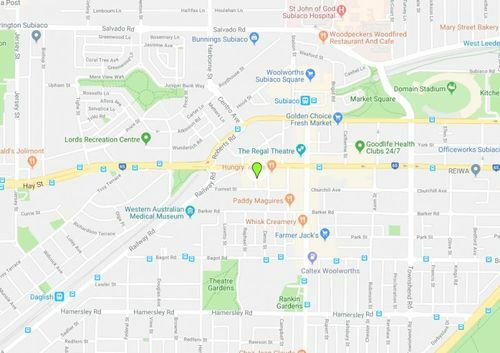 There is a Wilson car park next door where your guests can park and a number of public transport options nearby including bus stops on Hay Street and Subiaco Railway Station five minutes’ walk away. This premier location is perfect for those looking for accessibility away from the chaos of the city and flexibility in every aspect of their serviced office rental.